what is the best build of computer? hey! i have some cool stuff to share....WiDrive the 1st portable wireless storage server...for more info, drop me a email Wi-Drive is a wireless hard disk device. Traditionally, hard disk is WIRE connected to computing device such as PC or Notebook. With Wi-DRIVE the need for such physical connection is eliminated as the IEEE 802.11b/g wireless technology is now used as the medium of connectivity. With Wi-DRIVE user is free from the hassle and crumble some need of connecting cables and able to enjoy storage capacity that is no longer limited by physically connected storage devices. By converging both wireless and storage technology together, Wi-DRIVE further enhances the experience of data mobility by providing user with seamless access to their data storage. In addition, through the wireless network, Wi-DRIVE enables data storage to be seamlessly shared among users or computational devices. Wi-Drive is the result of a unique communication protocol that is developed to optimize the usage wireless bandwidth for blocks storage data transfer between the end computing devices (PC/Laptop/Notebook) and Wi-DRIVE itself. Wi-DRIVE is of low power design to allow portability and its rechargeable battery enabling it to sustain continuous access of data up to 4 hours. Beside the unique communication protocol (currently had filed for patents), Wi-DRIVE allows up to 8 person to share its content with the owner controlling the security access. We will be launching the product by end Feb through Singapore Press and another launch to commercial sector in earlier April (after Cebit). Currently there are some competitor products that are also leveraging on Wi-Fi connectivity. However, they are not portable and having its information being presented as a file folder, unlike Wi-DRIVE which is battery-operated for high mobility and the storage access is at block-level storage that is similar to an internal hard drive, providing better efficiency and direct storage management functions such as formatting and partitioning not seen in conventional file sharing approach. The block-access could also be use to enable wireless booting of OS. Furthermore the data transfer for most of the competitors products are not fully optimized for the lossy behavior of wireless network. 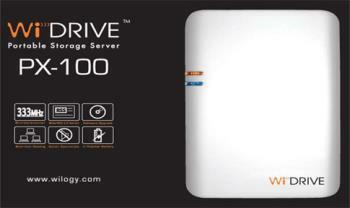 Wi-DRIVE through its unique communication protocol addresses such lossy behavior and allows high data transfer rate, maximizing the available wireless bandwidth for up to 5 or 8 users for simultaneous streaming of diVX/mpeg videos or music files onto different connected computer devices without any interferences.